Kim Boda- "Trust Local Experience!" Thank you for stopping by my website! It's not surprising that you landed here! 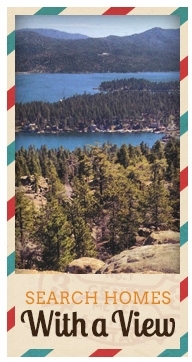 Like you, I was enamored with Big Bear, and I am still in love with this beautiful place called home! Life is amazing and I love what I do! Why? Because nothing feels better than seeing someone's happiness when you've helped them make one of their dreams come true. I get to help my clients find a piece of paradise and share what I already know to be true...Life is about the "NOW." We can't buy time, but we can certainly take the time we have and make it count! 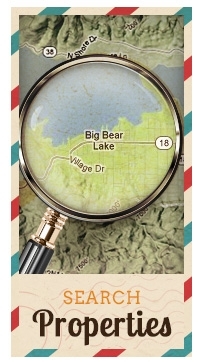 Investing in Big Bear real estate means many things. To some, it means investing in nature’s paradise. For others, it means quality time away with family, or a quiet place to regain sanity in a stressful world. Regardless of the reason, it's clear to see that investing in Big Bear is a winning venture! Prices are still affordable, and why vacation elsewhere when you can get away from the hustle and bustle in just a couple of hours? With my knowledge, I can help you make the right investment choice that suits your needs. 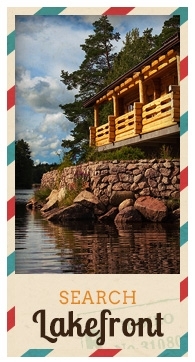 Whether it is having your own adorable cabin in the woods, or a resort rental investment that offsets some of your expenses, let me guide you to the best financial decision as well as show you everything that Big Bear has to offer! I grew up in a military family. My Dad was a career Air Force Master Sargent and together with my Mom who originates from Hong Kong, they taught us early on in life to adapt and to keep an open mind about change, different cultures and experiences. Having a diverse childhood has also helped me to expand my outlook and embrace people from all walks of life. On top of working with an amazing, top producing team called The Win Group! I served on the Agent Leadership Council in the recent past (the top 20%) I have also helped to administer training to newer agents with some of KW's success modules. I often assist the Keller Williams Market Center to promote well being by assisting with planning events (hikes, nature walks, mindfulness meditation, yoga etc...) I am adept at Social Media and I use it vigorously to market my clients listings because marketing is all about the world wide web now and over 85% of all Buyers start their real estate research online! You need a great internet marketing plan to be successful in todays modern business place. (Make sure you follow our links above to connect with us on Facebook, Twitter and Linked In). Whether you are a Seller looking to cash out your investment or whether you are a buyer who wants the best deal, I am very qualified to help you. Last but certainly not least, I have 3 amazing children, (Keenan, Scarlet and Charlotte), a 15 year old pug (Buck), a tortoise (Snappy) and my awesome partner in life...Tim Brigham, who just happens to hold a Real Estate law degree, holds a Real Estate Brokers license and is an important part of The W!N Group team. My family loves to take advantage of everything that Big Bear has to offer: Snowboarding, skiing, camping, hiking, biking, golfing and paddleboarding. We enjoy traveling all over the world together as a family! We are foodies and we love being adventurous, seeking out great restaurants and cooking and eating together as a family! Thanks for letting me share a part of who I am with you. I can't wait to meet you, I'm really looking forward to it!